Are you paranoid about your competition? How do I price my product or service? How do I turn prospects into customers? How do I get more prospects? People say that the real quality of management shows best when under pressure. In this lesson, Professor Damian Hughes offers various examples of how Sir Alex Ferguson handled himself, his team and the various challenges that presented themselves, when the pressure was on. Grant Leboff: Damian, one of the things that you talk about in the book is performing under pressure, which of course for a football manager is notorious. I can’t think of many other people under as much pressure as managers in the top flight of football around the world. You talked about how Alex managed to handle that, and also how he got to others as well. There’s the very famous story in the book, which I think people will remember, was the famous Keegan outburst, when Newcastle and Manchester United were vying for the title. Can you tell us a bit more about how he worked under pressure in that story? Damian Hughes: That story became almost synonymous with Kevin Keegan and as you say, most people recount that in the April of 1996, Newcastle United were going for that first league title, in something like 80 years. Manchester United were looking to recover from the loss of the title the year previously. They were neck and neck, and Ferguson made a disparaging remark about Newcastle’s next opponents, Leeds United, that United had just beaten at Old Trafford. He described the ref there as obscene, and suggested that they wouldn’t try as hard when they met Keegan’s. The night after Keegan’s Newcastle played at Nottingham Forest, where after the game, he was asked for his thoughts on camera, and he gave his famous rant where he suggested that he would love it, he would just love it if he was to beat Manchester United to the title. And that was what players that played for Keegan at the time said that when they saw the interview, they realized that under pressure, their manager had started to crack, and their faith in him began to waver. In the end, Manchester United cantered to the title, but with some ease to spare. Grant Leboff: … himself became bigger and bigger. So how did he deal with it? What were some of the techniques he used? Damian Hughes: Well, one simple technique he used is he would often remove himself from pressure when it didn’t need to be there. We talked about how for the first part of his career, he was almost… close to being a maniac in terms of the focus that he did, but he realised that he just couldn’t sustain that for his own health and well-being, which is where around that period of the mid-1990’s, he took a real interest in horse racing because he felt it was a sufficient release away from the pressure. What he was good at doing was, it wasn’t about living with pressure for 24 hours a day, 7 days a week. He would focus on pressure when he really needed to, but then he would also get away for his own rehabilitation, to recharge his batteries. That was one technique that I think we could all learn from in our modern media age of constantly having to feel that we’re connected with our mobile phone and our emails and our Blackberries pinging and ringing. I think sometimes, just accepting that there are moments when we need to be present, but equally there are moments where we need to get away from it. Grant Leboff: I think that’s really important because I think there’s a lot of business owners that don’t do that, do they? Because they’re constantly connected, as you said, and even when they’re on holiday, they’re checking, they’re dialing in, they’re sending out emails, and those things. Perhaps Ferguson, the importance of recognising to remove himself. Were there any other things he did when he was in pressure? Because that was a way of taking yourself out of pressure so he could cope with it better when he was back in the cauldron as it were. Were there things he was doing when he was in the cauldron to make sure he could handle the pressure well? Damian Hughes: Yeah, sure. So, again, it was again, that phrase that we’ve used before about, “Control the controllables.” He would focus on the small details rather than focus on the big picture. So Roy Keane, for example, talked about how he was fantastic at those moments of big pressure. He would come in and he would remind both himself and his players of the qualities that they’d shown to get into that position. He’d remind them and say, “You’ve demonstrated focus, commitment, character all the way through the season, so let’s just remember that they are signature strengths and let’s adhere to them now that we are under pressure.” Keane describes that he would never get caught up in that carnival atmosphere of the big moments. He would always then focus on the things that you could control, which was the hard work, the diligence, and that courage of character. Grant Leboff: That’s a really interesting lesson. Damian Hughes: Another principle that King is very good at talking about is that he would keep things incredibly simple at those moments of pressure as well. I work with boxing coaches, and there’s a challenge for them that they have moments of pressure that are a minute long when they have to make an intervention in between rounds. You can’t be giving Churchillian speeches in that intervention. You’ve got to make short, subtle interventions, and Keane describes Ferguson was the master of the three word team talk. He talks about one game where he walks into the dressing room and merely said to the players, “Lads… It’s Tottenham” and walked out. Keane said the players sat in the dressing room and knew exactly what he meant. Tottenham are going to be skillful, they’re going to represent a challenge, but you just have to stay with them for an hour, and then your superior conditioning will tell. He didn’t need to complicate it by going into huge detail. There may be small changes to the spoken word in this transcript in order make it more readable. Professor Damian Hughes combines his practical and academic background within sport, organisation and change psychology to work as a trusted adviser to the business, education and sporting elite, specialising in the creation of high performing cultures. How do you achieve the right mindset in business? Are your staff just doing their job or are they reaching for the sky? In this, the last lesson of this series, Professor Damian Hughes, in discussion with Grant Leboff, describes how Sir Alex Ferguson instilled the will in the Manchester United team to exceed all expectations. Goal setting is not necessarily an easy task. In this lesson, Professor Damian Hughes describes how Sir Alex Ferguson achieved his goals by focusing on what was in his control. How do you remain confident of your own abilities when all around you are calling for your head? In this lesson, Professor Damian Hughes recalls how Sir Alex Ferguson remained confident during one of Manchester United’s worst seasons and how those lessons still apply to businesses today. Did Sir Alex Ferguson or Sir Richard Branson listen to the people around them or were they their own men? 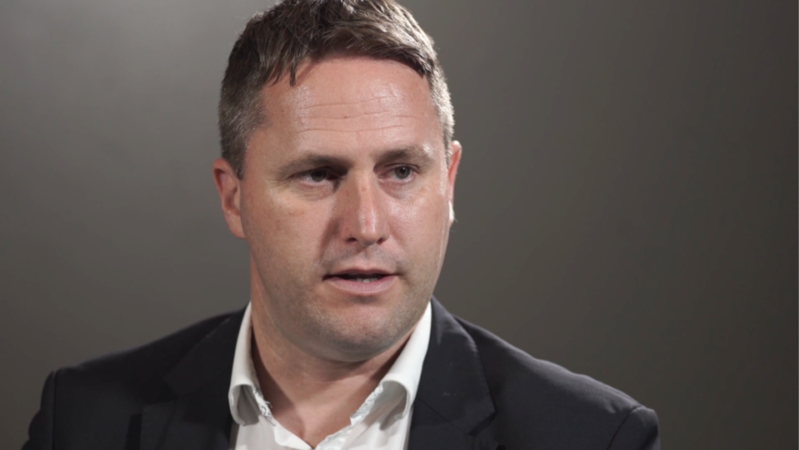 In this lesson, Professor Damian Hughes, quotes examples of when positive feedback impacted on buying future players and equally, how that attitude works in business too. Who was Sir Alex’s after match TV interview for – the fans or the players? In this programme, Grant Leboff discusses with Professor Damian Hughes, the impact of those few minutes had on Manchester United’s players and those around them, and how the same lessons can extend to your business too. What’s the difference between hoping you are going to win a game or expecting to win it? In this lesson, Grant Leboff discusses with Professor Damian Hughes, the dramatic way in which Sir Alex Ferguson instilled a positive focus into his players and how that relates to winning businesses today. The average tenure of a football league manager is 16 months before they are dismissed, but Sir Alex Ferguson become the longest serving football manager in history. 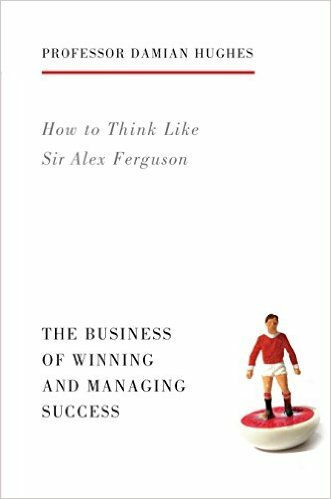 In this lesson, Grant Leboff discusses with Professor Damian Hughes, how Sir Alex Ferguson instilled cup winning objectives into his team members, how he planned for the future, and how that relates to successful businesses today. How did Sir Alex Ferguson spot the potential in players like Beckham, Scholes, Neville, and Giggs? In this programme, Grant Leboff discusses with Professor Damian Hughes, how Alex Ferguson nurtured and pinpointed players with the right attitude and how that discipline transfers to a business environment. How do I build a compelling customer proposition? How can I best use digital marketing? © Grant Leboff 2011 - 2019. All rights reserved.